Discover how to use LinkedIn to rock your personal author brand. 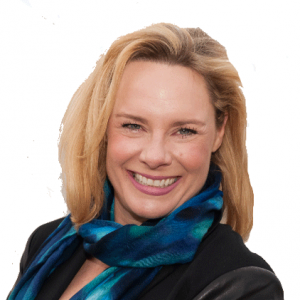 Listen as LinkedIn superstar, Viveka Von Rosen spills the beans on what you need to know about how to use LinkedIn to market your book. 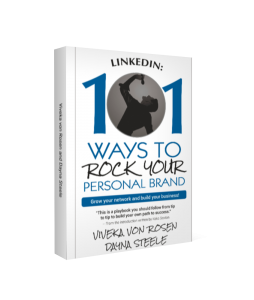 Viveka Von Rosen is author of “LinkedIn: 101 Ways to Rock Your Personal Brand” and she’s the contributing expert to LinkedIn’s official sophisticated marketer’s guide. CEO of LinkedIn to Business and Co-Founder of Linked Prospecting, Viveka also host the biggest LinkedIn chat on Twitter. She has a whopping 30,000+ first level connections and a network of over 38 million people on LinkedIn, and 86,000+ followers on Twitter. She’s taught over 100,000 people in her seminars, webinars, and workshops. Her clients include the New York Times, the Daily Beast, Bloomberg, Aeon, Western Union and several other Fortune 500 companies. Forbes has listed Viveka as a top social media influencer for three years running and she’s been cited in Money Magazine, Simple Living, CNN Forbes, and many other prestigious publications. A: There’s a lot of different way that you could do it. The first is just creating your brand on LinkedIn. I think what happens is, people join LinkedIn because someone tells them they need to be on LinkedIn and they never look at it again. The problem is that when people are Googling you, often, before your book shows up, your Amazon link shows up, your LinkedIn profile will show up and so people go to your profile because they’re wanting to, say, hire you to come speak at their next event, or they’re wanting to interview you, or they’re wanting to learn more about your book, and then they go to your LinkedIn profile and it’s a dud, you’re actually losing credibility and you’re losing out on a lot of opportunities there. I really don’t want that to be the case for the poor folks on the show.